Holidays in Turtle Bay take you to the pretty north-west coast of Mauritius and to the centre of the island’s first national park, the Marine National Park. Also known as the Baie aux Tortues, Turtle Bay is named after its local sea turtle residents who frequent the bay. Powdery white sands await alongside warm, azure waters perfect for all kinds of holidaymaker. Families will enjoy making sandcastle creations and paddling in the clear waters, while couples can get away from it all and soak up the sunshine in the hidden coves. Adventurers may prefer to snorkel or dive into the stunning Indian Ocean, which is adorned with beautiful coral reefs and brightly coloured fish. Surrounded by pristine white beaches and glistening waters, excellent restaurants in Turtle Bay await. Serving fresh seafood alongside a fusion of Thai, Chinese, Mediterranean and Indian flavours there’s something for everyone here. Wash this down with the local vanilla rum as you sit and watch the mesmerising Mauritian sunset. Luxury holidays in Turtle Bay bring you upmarket amenities within an authentic Mauritian village. Sample inspiring history and local culture at the neighbouring Balaclava Estate, where enigmatic ruins have stood since 18th century colonial times. Take a stroll through the picturesque gardens as you take in the majestic mountain backdrop. 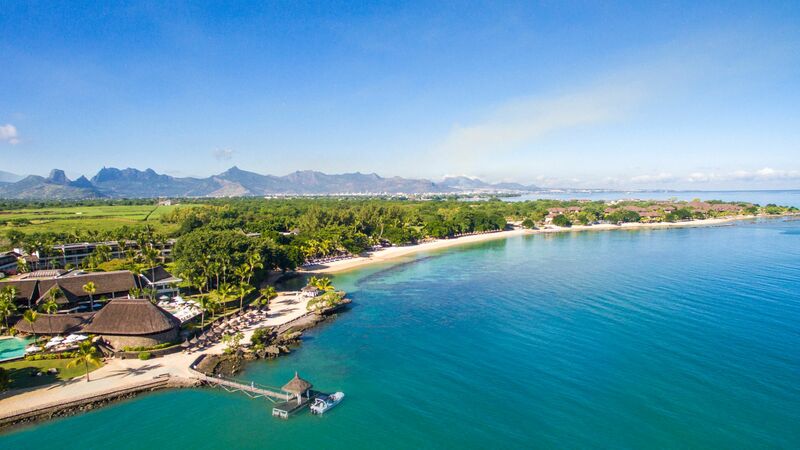 Turtle Bay is also a superb base for visiting the island’s capital of Port Louis with its architectural delights and colourful markets, and the stunning Grand Baie just 20 minutes away. Select Sovereign for your luxury holidays in Turtle Bay and we will assist you in finding the right accommodation to match your needs. Our deluxe accommodation has been hand-picked by our trusted advisors to ensure the utmost in comfort, class and luxury at excellent prices. The 5-star Maritim Hotel in Turtle Bay is a superb choice for nature lovers and is nestled within tropical gardens and encircled by a powdery white sand beach. Alternatively, guests can select from archery, horse riding and golf, in addition to complete rejuvenation at the Maritim Tropical Flower Spa. If you're a beach lover, the west coast (where you'll find Turtle Bay) is the best part of the island to stay on during their winter season (May to October), as it's more sheltered from the wind. Transfer time from Mauritius airport to Turtle Bay is approximately 1 hour.